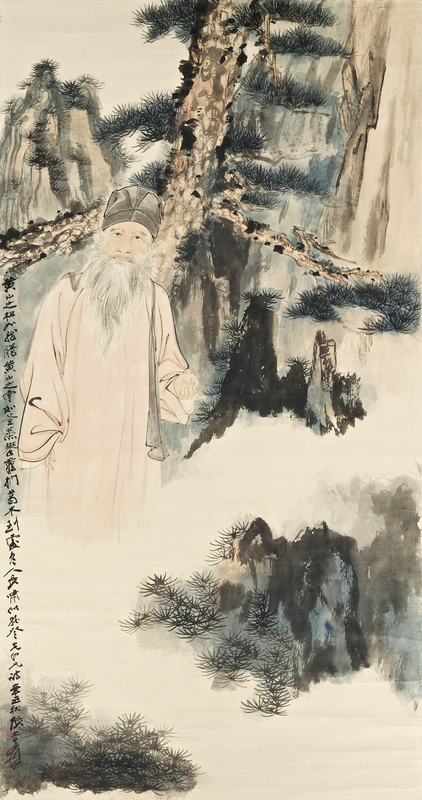 Zhang Daqian’s Self-Portrait in the Yellow Mountains made US$6 million at Sotheby's Hong Kong in October 2011. (Click on image to enlarge). 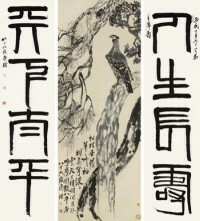 The most expensive painting sold at auction in 2011 was Qi Baishi's Eagle Standing on Pine Tree; Four-Character Couplet in Seal Script. 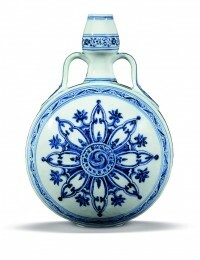 The year 2011 saw Zhang Daqian take the number one spot and the art market achieve an absolute record of $11.5 billion dollars in global art auction revenue. Artprice’s global ranking of artist’s by auction revenue showed six of the top ten selling artists were Chinese. 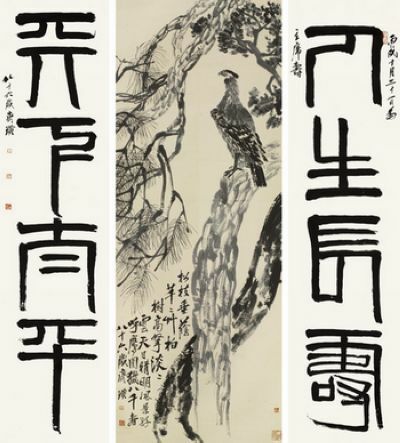 The best result of the year, $57.2 million, was achieved by Qi Baishi whose Eagle Standing on Pine Tree; Four-Character Couplet in Seal Script sold in Beijing last May. Strong growth was sustained throughout 2011, a year in which art sold better than at any other time in history. This followed on a 2010 which produced the best performance of the decade. The Chinese market grew 49 per cent in 2011 but leading European markets grew too: +24% in the UK ($2.24 billion in 2011 vs. $1.81 billion in 2010), +9% in France ($521 million vs. $478 million in 2010) and +23% in Germany ($213.9 million vs. $174 in 2010). In the Top 5 market places, only the USA contracted with a revenue total of $2.72B, down 3% vs. 2010. Artprice figures showed the global art auction market generated 21% more than in 2010. Compared with 2010, Modern art added $1.2B, Post-war art added $372m, Contemporary art added $291m, Old Masters added $124 million and 19th century art posted an increase of $43 million. The top ten selling artists at auction in 2011 were: 1. Zhang Daqian (1899-1983) – $550m; 2. Qi Baishi (1864-1957) – $510m; 3. Andy Warhol (1928-1987) – $325m; 4. Pablo Picasso (1881-1973) – $315m; 5. Xu Beihong (1895-1953) – $220m; 6. Wu Guanzhong (1919-2010) – $212m; 7. Fu Baoshi (1904-1965) – $198m; 8. Gerhard Richter (1932) – $175m; 9. Francis Bacon (1909-1992) – $129m and 10. Li Keran (1907-1989) – $115m. 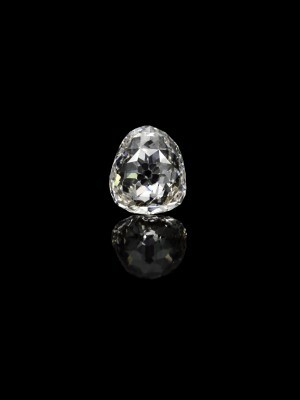 A 34.98 carat diamond worn in her crown by Marie de Medici at her coronation as Queen Consort of Henri IV in 1610 will be sold at Sotheby’s in Geneva on May 15. The Beau Sancy, a modified pear double rose cut diamond has passed down through the royal families of France, England, Prussia and the House of Orange. Acquired by Nicolas de Harlay, Lord of Sancy (1546-1629), in Constantinople in the mid to late 1500’s, the Beau Sancy is most likely to have originated from the mines in south-central India near the city of Golconda, the source of history’s best-known diamonds, including the Hope and the Koh-i-Noor. UPDATE: IT SOLD FOR $9,699,618 US dollars. 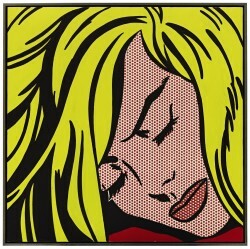 Roy Lichtenstein’s Sleeping Girl from 1964 is a highlight of Sotheby’s sale of contemporary art in New York next May 9. The Pop Art masterpiece is one of the high points of the artist’s comic book inspired paintings and an icon of Post-War American art. Paintings from the series are in major museums around the world including MoMA, New York. This work has remained in the private hands for the past 48 years. “Sleeping Girl is one of the great masterpieces of the 20th century, counting iconic depictions of women by Pablo Picasso, Constantin Brancusi and Amedeo Modigliani among its peers,” commented Tobias Meyer, Sotheby’s worldwide head of contemporary art. 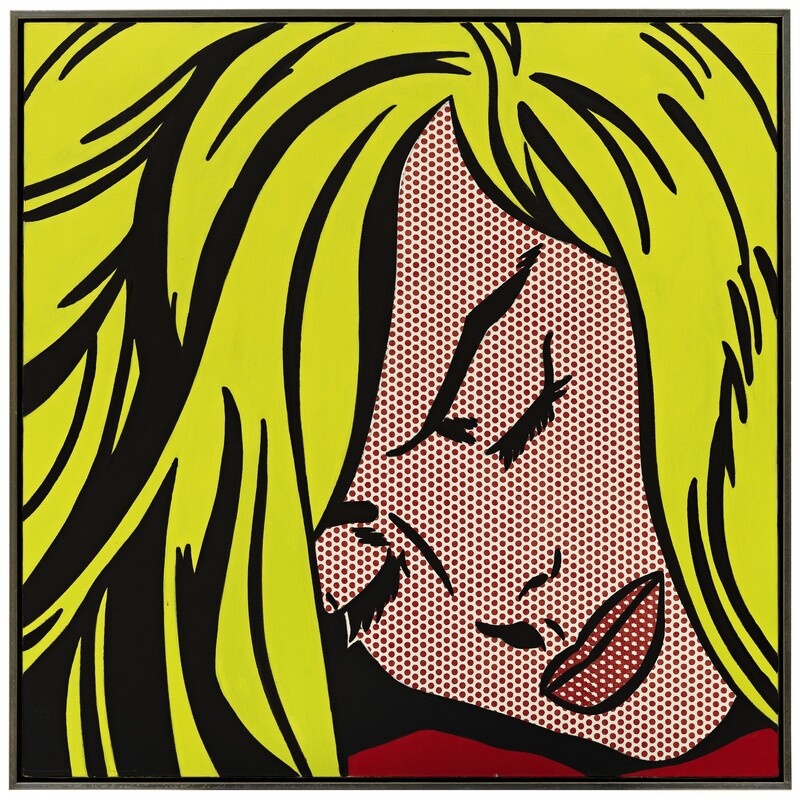 “Lichtenstein’s ‘girls’ are arguably his most desirable works today and Sleeping Girl has been coveted since it was acquired in 1964, the year it was painted. It is astonishingly fresh and vibrant, as if it were painted yesterday.” Prior to auction it will be shown in Los Angeles, Hong Kong, London and New York and is estimated at $30/40 million. It was purchased by noted West Coast collectors and philanthropists Beatrice and Phillip Gersh, from the Ferus Gallery in 1964. The Gershes were founding members of The Museum of Contemporary Art in Los Angeles (MOCA). Contemporary works by artists including Mark di Suvero, Susan Rothenberg, Tony Cragg and Kiki Smith will be offered from the Gersh collection at Sotheby’s this spring. 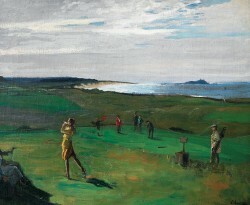 The Golf Course by Sir John Lavery. (Click on image to enlarge). UPDATE: IT SOLD FOR £193,250. 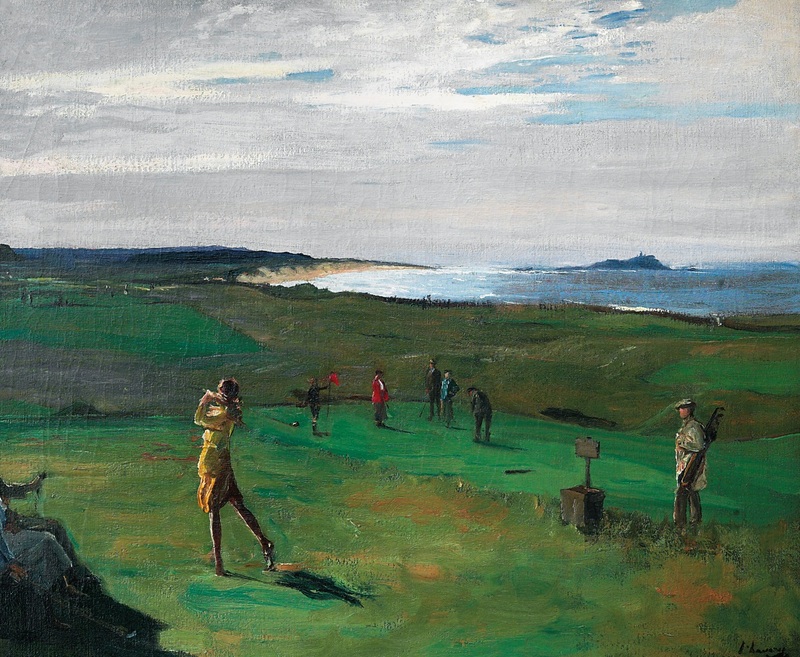 Sir John Lavery’s depiction of The Golf Course at North Berwick is the most expensively estimated lot at Christie’s sale of the world’s most important private collection of golf art and memorabilia. Passionately assembled over 25 years by Jaime Ortiz-Patiño, the founder of the world-famous Valderrama Golf Club, this historic collection includes some of the rarest and most valuable treasures representing the history of the sport. Ortiz-Patino, born in Paris in 1930, is the grandson of the Bolivian industrialist Simon Patino, known as the king of tin. The sale of 400 lots on May 30 is expected to realize more than £2 million. The collection includes golf clubs and balls used by champions including Allan Robertson, Old Tom Morris, Young Tom Morris and Willie Park Snr. who, between them, won twelve Open Championships. Another highlight is the Morris Putter, a club owned by two of history’s most celebrated golf champions (£40,000 to £70,000). Crafted by Hugh Philp, a master club-maker based at St. Andrews whose thorn, apple and pear wood putters were particularly revered, it was owned and used by Old Tom Morris and his son Young Tom Morris who between them won eight Open Championships. The Golf Course, North Berwick by Sir John Lavery, R.S.A., R.H.A., R.A. (1856-1941) will be offered with an estimate of £200,000 to £300,000. It last changed hands at Christie’s in 2005 for £456,000. It is from a series of works the artist painted at the Scottish golf course in 1921 and 1922, another example of which is at Tate Britain having been presented by Lord Duveen. They are the most valuable and desirable modern depictions of the game. UPDATE: Two works by Lavery, The Golf Links, North Berwick and The Golf Course, North Berwick sold for £241,250 and £193,250. The sale brought in £1,838,731. The carved jade gift to Prince Gong at Bonhams. (Click on image to enlarge). UPDATE: IT SOLD FOR £481,250. 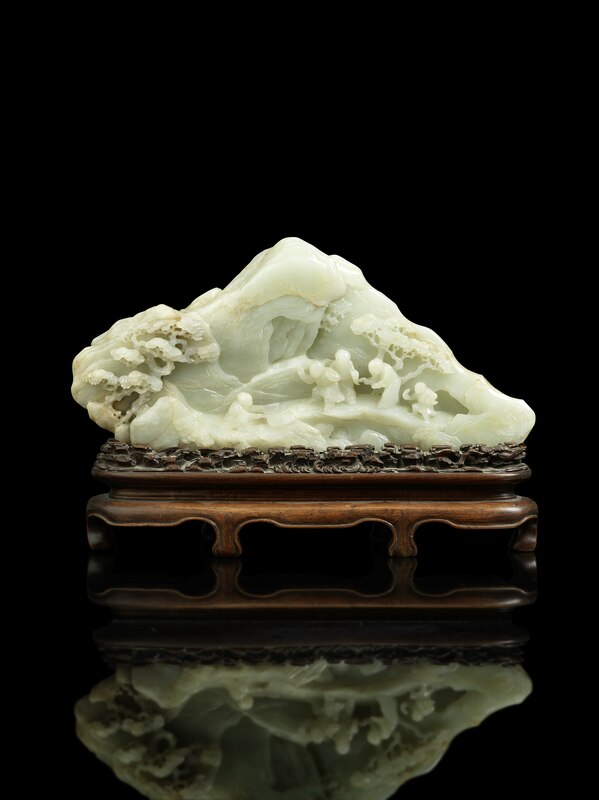 A magnificent pale green jade mountain, dating from the 18th century will be the highlight of Bonhams next Chinese sale on May 17 in London. 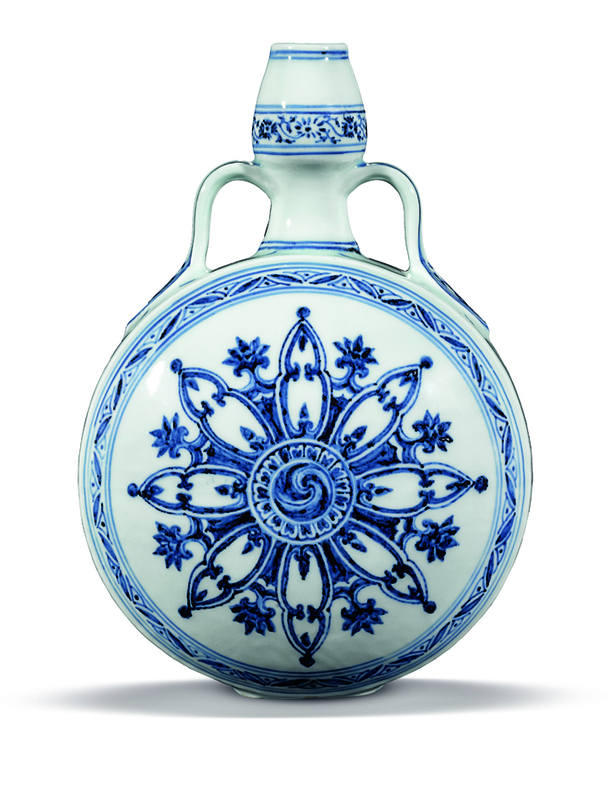 It was a gift from Li Hong Zhang to Prince Gong, two of the most important statesmen of the late Qing Dynasty. The piece is estimated at £400,000-600,000. The jade boulder is carved as a mountain peak in high relief with four sages and an attendant on a narrow ledge above a stream in a mountainous landscape with pine and wutong trees. The reverse is carved with rocky cliffs and trees. The nine character inscription reads: Jin Feng Gong Qing Wang Chen Li Hong Zhang (‘Humbly Presented [to] Prince Gong [by] Minister Li Hong Zhang). It comes with its original carved wooden stand and is 141/2 inches wide and seven inches high. Li Hong Zhang, GCVO (1823-1901), Premier of the Viceroyalty of Zhili, gifted it to Prince Gong,Yixin (1833-1898). Prince Gong was the sixth son of the Daoguang Emperor (reigned 1821-1850) and half brother of the Xianfeng Emperor (reigned 1850-1861). He served as Prince Regent during the Tongzhi Emperor’s reign (1861-1875). The carving passed by descent to his grandson Prince Gong. Japanese dealers Yamanka and Co. offered it through the American Art Galleries in New York in 1913. It was sold to a private English collector in London in 1963. More than 2,900 lots will feature at Sotheby’s Hong Kong spring sales from March 31 to April 4. The five days sale of fine Chinese ceramics and works of art, fine Chinese paintings, contemporary Asian art, 20th century Chinese art, modern and contemporary Southeast Asian paintings, jewelry, watches and wines is expected to make more than HK$1.8 billion / US$233 million. Selected highlights will be showcased in travelling exhibitions in Jakarta (2 – 3 March), Shanghai (7 – 8 March), Beijing (10 – 11 March), Chengdu (13 – 14 March), Singapore (17 – 18 March), Bangkok (20 – 21 March) and Taipei (24 – 25 March). The sales tale place at the Hong Kong Convention and Exhibition Centre. A diamond solitaire stampled Tiffany and Co., 1999 at O'Reilly's sale in Dublin. It is estimated at 20,000-25,000. This diamond cocktail necklace has an estimate of 5,000-6,000 at O'Reilly's in Dublin. 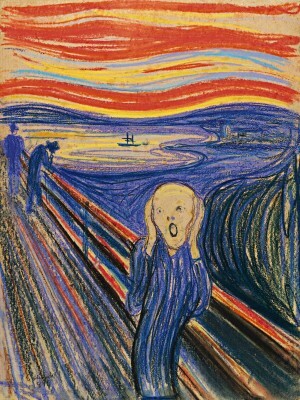 The version of The Scream to be sold at Sotheby's. (Click on image to enlarge). Edvard Munch’s masterpiece The Scream – one of the most instantly recognizable images of art history and popular culture – will lead Sotheby’s Impressionist and Modern art evening sale in New York on May 2. Dating from 1895 it is one of four versions of the composition and the only one still in private hands. The work is owned by Norwegian businessman Petter Olsen, whose father Thomas was a friend, neighbor and patron of Munch. It is difficult to estimate the value of the work, but Sotheby’s suggest a figure of in and around $80 million dollars. The cultural resonance of the piece has been underscored by two high profile thefts. In 1994 two thieves stole the version at the National Gallery of Norway. It was recovered unharmed in a sting operation later that year. 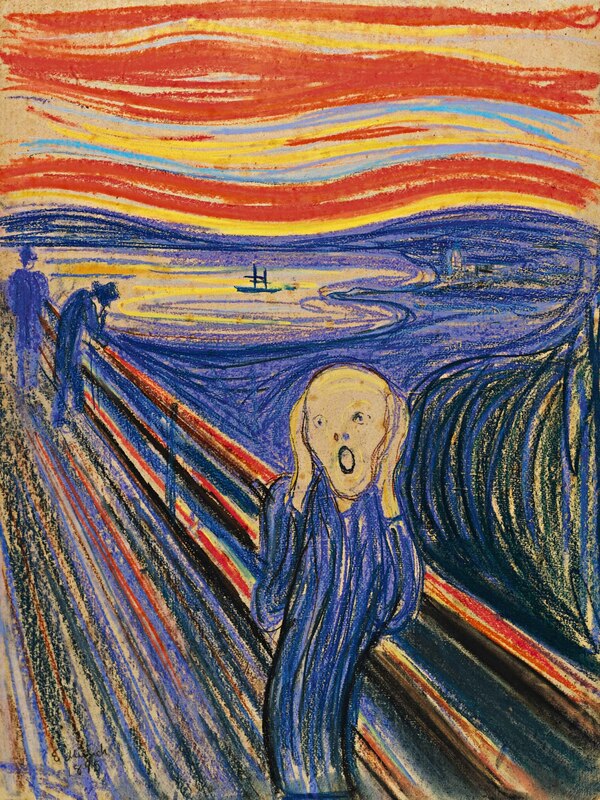 A decade later masked gunmen stole another version from the Munch museum in Oslo with another Munch work. Both were recovered two years later. 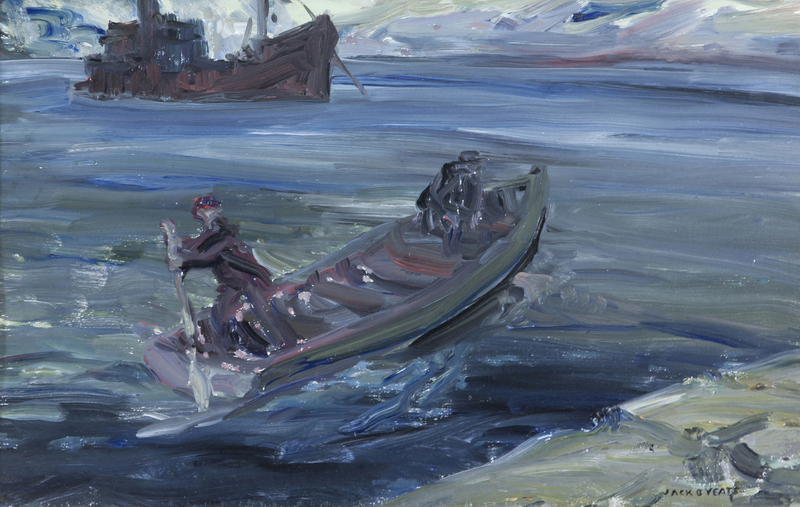 The Pilot by Jack B. Yeats sold for 48,000 at MorganO'Driscoll's art auction. (Click on image to enlarge). THE Pilot an oil on board by Jack B. Yeats, also known as The Captain goes Aboard sold for 48,000 at Morgan O’Driscoll’s art auction in Cork on February 20. Estimated at 50,000-70,000 it was the top lot in a sale where most of the best works were sold, though at prices slightly under the low estimate. A Western Village by Paul Henry estimated at 20,000-30,000 made 16,000 and a work by Water Osborne entitled Near Didcot, Byberry Clumps in the Distance, sold for 17,000 against an estimate of 20,000-30,000. 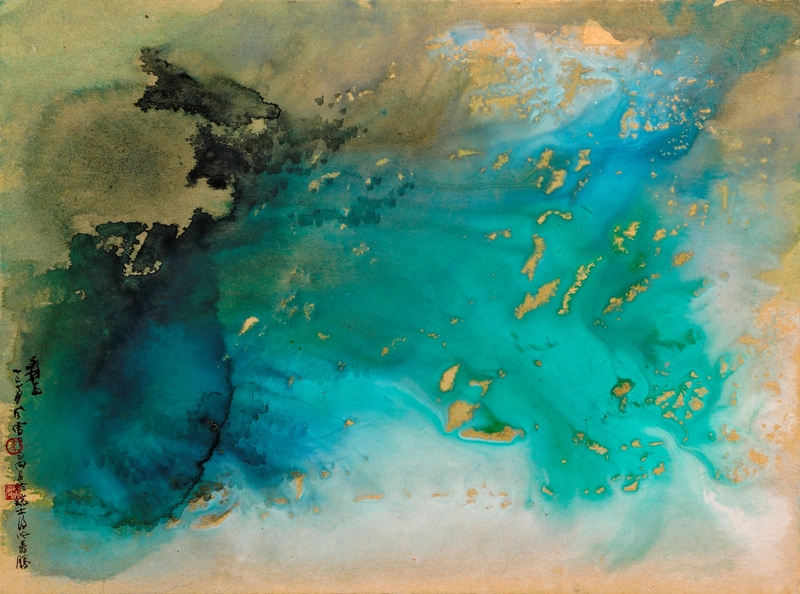 An acrylic on canvas by Tony O’Malley from 1981 entitled Garden Impression, Paradise Island, Bahamas, which was estimated at 40,000-50,000, was withdrawn at 34,000. 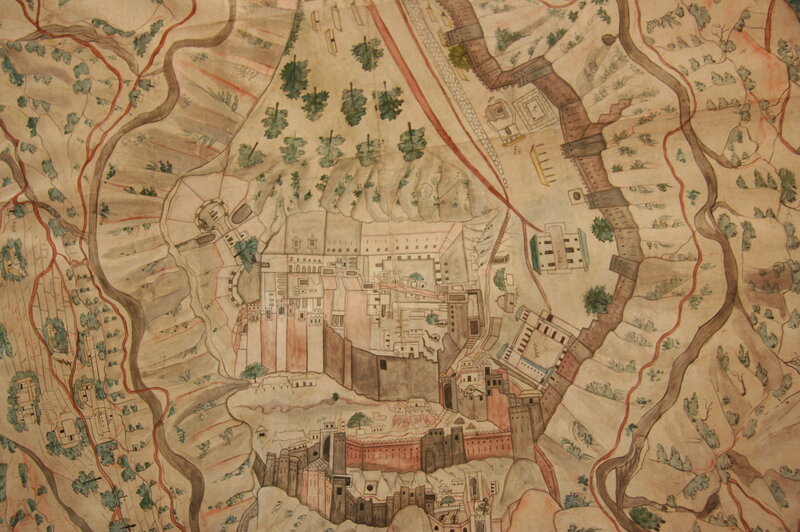 Detail from a topographical map of a fortified hill top fort in Northern India. (Click on image to enlarge). Property from the collection of the leading Mughal scholar with strong Dublin links Dr. Linda York Leach (1942-2006) will come under the hammer at Bonhams Islamic and Indian sale in London on April 24. 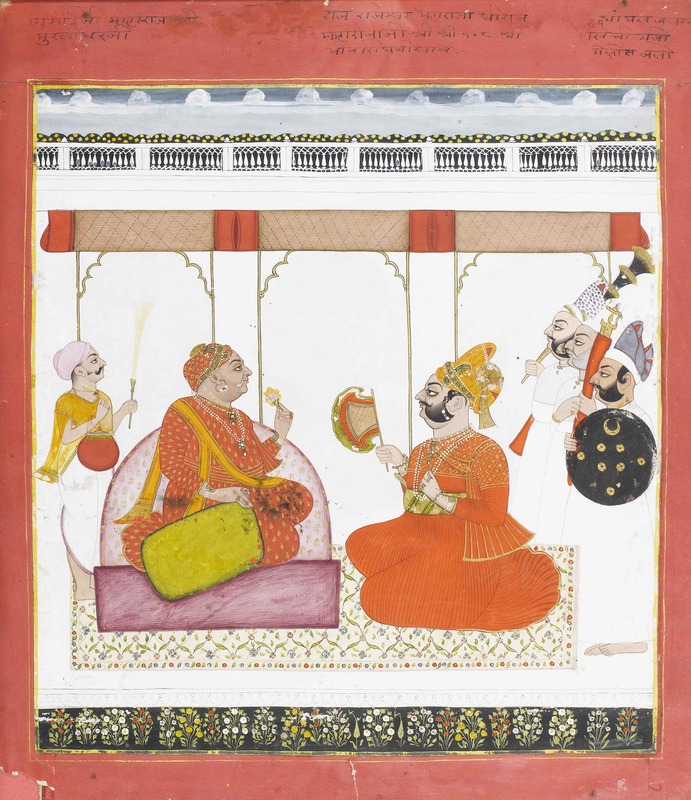 The Rajput schools of Indian miniatures are well represented in her 30-piece collection. Highlights include an image of the splendid jamas in fiery orange worn by the two early nineteenth Jodhpur rulers seated in conversation (£3,000-4,000), a portrait of a late eighteenth century Mandi prince holding a falcon (£1,200 to £1,500) and an unusual eary 19th century topographical map from Northern India of a fortified hill top for (£8,000-12,000). Bronzes, ivories, and textiles from the collection will also be offered. Interest and scholarship in Indian miniature painting has grown considerably over the last fifty years and Dr Leach was central to this renewed scholarship. An American, Dr. Leach catalogued the Mughal and Indian miniatures in the Chester Beatty Library in Dublin.